Valentine’s Day is just around the corner…here’s a recipe for a quick 20 minute prep, ‘night in on the couch’ platter that’s sure to go down well! 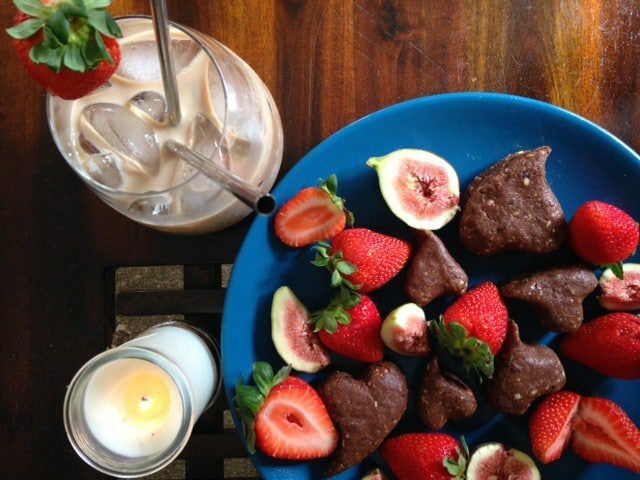 Mix a BallBag (Choc Vegan or Whey) with either Baileys, Kahlua, or your lover’s fave liquor. (Use this instead of the coconut oil to bind mix). Mold into heart shapes, refrigerate & serve with some luxurious, brightly coloured fruits. You can share the rest of the drink & see where the night leads! Chocolate = food for lovers!